After finishing a carpentry apprenticeship Chris Hinz started freelancing as a graphic designer and photographer. He studied design at the Münster University of Applied Sciences, major fields: media design and illustration, where he was employed for three years as a teaching assistant in design theory. Since 2012, Chris has worked independently as a creative, published the indie game “LEAVE” and won the "International Picture Book Competition 2017”. 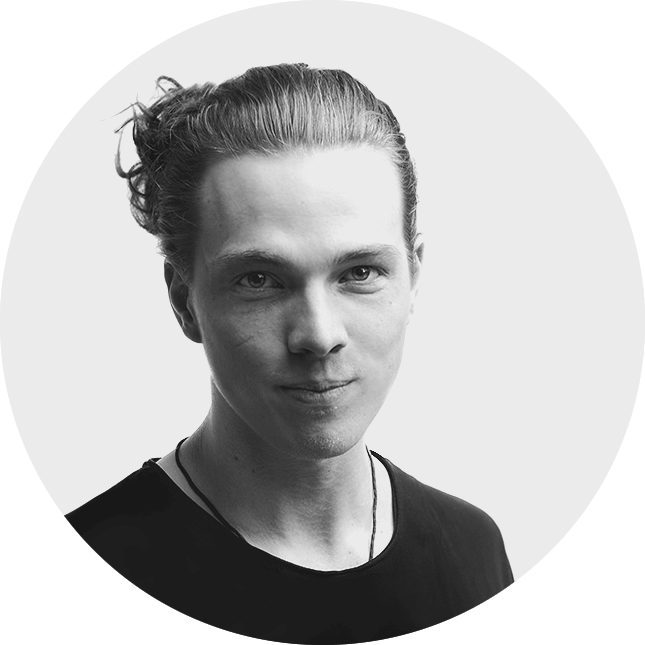 He works as a visual designer and creative director, coordinating hinz.design's digital agency since 2016. Also Head of Design at Sympatient GmbH since 2018. Great input and a perfect delivery. We were looking for a visual solution to showcase our design in the best possible way. While working closely with our design team, Chris' extraordinary perspective to this subject also released new ideas - we received way more than expected. An outstanding performance! Thank you! Working with Chris is a process of pure professionalism. He mastered to even outperform our ambitious demands and we are looking forward to future projects with him and his network. Our video game project got strongly streamlined and restructured. Having Chris as a designer and coordinator was great. Very interdisciplinary experience and sweeping way of problem-solving. Our teams worked together seamlessly. Great cooperation and a convincing and professional result. Chris made coordinating complex projects easy while inspiring us to push ourselves and create some of our best work for 2017.